Maitland McDonagh is a film critic and TV commentator who maintains her own Web site, MissFlickChick.com. She was the senior movies editor of TVGuide.com from 1995 to 2008. She is the author of Broken Mirrors/Broken Minds: The Dark Dreams of Dario Argento. 1: The Academy Awards this year did what some say was a long overdue salute to the horror genre. There was once a time when horror films were eyed as potential big award-winners (Psycho, A Clockwork Orange, The Exorcist, etc.). What has happened to the genre? Horror films -- and genre pictures in general -- have always been the black sheep of the movie family and they’re treated accordingly. Frankenstein (1931) and Night of the Living Dead (1968) are far more influential movies than best picture winners like Cimarron (1930-1931) and Oliver! (1968). The Texas Chainsaw Massacre and Halloween are just as culturally significant as The Godfather Part II and The Deer Hunter, and deserved slots on the 1974 and 1978 best picture ballots more than The Towering Inferno and Heaven Can Wait. Boris Karloff and Anthony Perkins should have received best actor nominations for Frankenstein (1931) and Psycho (1960). Sigourney Weaver, Deborah Kerr and Claire Bloom more than deserved best actress nominations for Alien (1979), The Innocents (1961) and The Haunting (1963). Freaks (1932) and Rosemary’s Baby (1968) merited best picture nominations and Let the Right One In (2008) and Eyes Without a Face (1960) should have been in the running for best foreign-language film. But while the ne’er-do-well cousin may be more rakishly entertaining (and ultimately more influential) than Aunt Sandra the Supreme Court judge, he or she still isn’t invited to important family gatherings. Movies like The Exorcist, Silence of the Lambs and A Clockwork Orange were acknowledged because William Friedkin, Jonathan Demme and Stanley Kubrick couldn’t be ignored. 2: In what ways has Italian filmmaker Dario Argento had a tangible influence on mass-popular US films such as the Saw, Final Destination, or I Know What You Did Last Summer series? In more ways than I suspect a lot of modern-day horror movie fans realize. The slasher movie template — plot-advancing scenes interrupted at regular intervals by bizarre, baroque murder sequences — owes everything to Argento. All the movies in the Saw, Final Destination and I Know What You Did … franchises adhere to it, as do the Nightmare on Elm Street, Friday the 13th and Halloween movies. The basic structure predates Argento; you see it in Agatha Christie’s 1939 novel Ten Little Indians and, later, in Mario Bava’s Blood and Black Lace (1964), which is generally considered the first giallo. But Argento’s movies perfected the formula: Elaborate, highly aestheticized murder set-pieces defined his movies in the same way that show stopping song and dance numbers define classic musicals. The clichéd plot of Stormy Weather (1943) pales beside the insouciant physicality of Fayard and Harold Nicholas’ exuberant “Jumpin’ Jive” number; Gene Kelly’s achingly romantic “Singin’ in the Rain” solo eclipses the film’s story of silent-movie actors scrambling to cope with Hollywood’s transition to sound. Those sequences can stand on their own merits as wordless, self-contained narratives. Argento elevated the murder set-piece to the same standalone level. 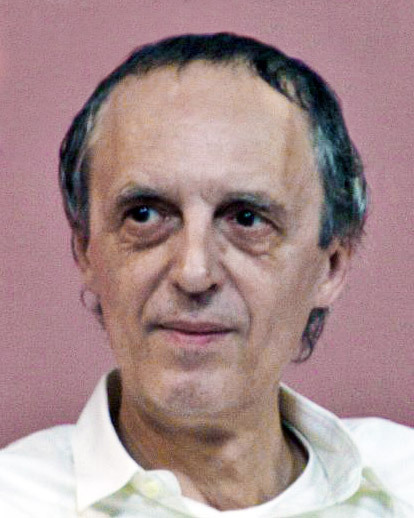 3: What draws you to Dario Argento's work? When I first decided to write about Argento, I had seen only The Bird With the Crystal Plumage (1970), Deep Red (1975) and Suspiria (1977). But they all haunted me in a way that dozens — make that hundreds — of other thrillers and horror movies hadn’t. Argento’s movies had a breathtakingly casual visual sophistication. They used music in an unusually expressive way and hummed with undercurrents that couldn’t be pinned down in a single viewing. They were challenging at a time when many genre movies were glumly formulaic; in the 1970s and ‘80s, Argento’s name guaranteed a movie that was worth thinking about. 4: What makes Argento's films worthy of academic study? Marginal movies like Argento’s — horror, exploitation, sexploitation pictures — are canaries in the coal mine. They pick up on and respond to unarticulated anxieties bubbling beneath the surface of mainstream cultural consciousness: They’re a window onto the undercurrents that often wind up defining their eras, a glimpse into the future, if you will. Long before Coming Home (1978) and Apocalypse Now (1979), movies like Night of the Living Dead (1968) and Dead of Night/Deathdream (1974) were addressing the psychological cost of America’s involvement in Vietnam. But while filmmakers like George Romero and Bob Clark were under the radar of mainstream critics, their work was being seen and appreciated by moviegoers who went to drive-ins and grindhouses. Argento’s movies are part of a larger picture of films that were for years ignored by academic film historians and scholars. If Broken Mirrors/Broken Minds has a legacy, I think it’s twofold: Broken Mirrors both helped legitimize the serious consideration of movies traditionally dismissed as worthless cultural detritus and acknowledged the power of pulp fiction to provoke serious discussion of contemporary cultural concerns. >More about Broken Mirrors/Broken Minds.